Content creation is all about the author. Keep track of multiple storylines, dynamic changes and character relationships with an easy-to-use visual interface. No technical expertise necessary. Manage the entire life cycle of your story and get to market faster than ever before by employing the built-in quality control and publishing interface. 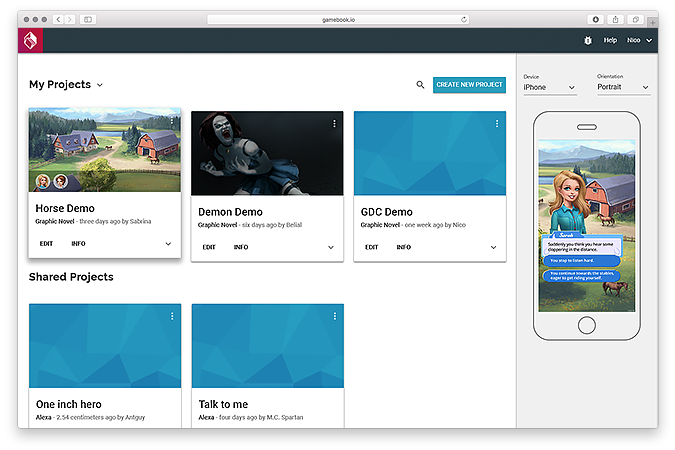 Our library of carefully hand-crafted formats enables you to produce and publish episodic content for various platforms. Easily update your digital content or adapt it for specific markets. Produce a variety of formats. Integrate graphics and audio to create a reusable library of assets. Publish episodic content without programming. 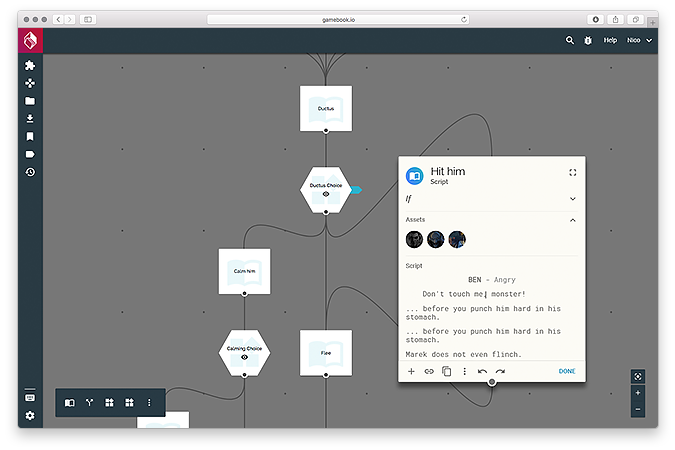 Browser-based, drag-and-drop editor to create interactive, narrative and multi-linear stories. 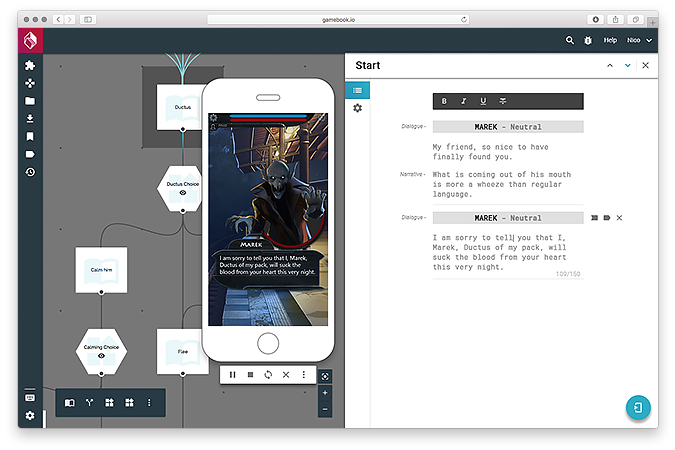 Author-centric workflow designed for visual drafting, story fine-tuning, play testing and refinement of interactivity. We know how to tell a successful story. Our team has been working on content creation in the games industry on projects all around the world for decades. 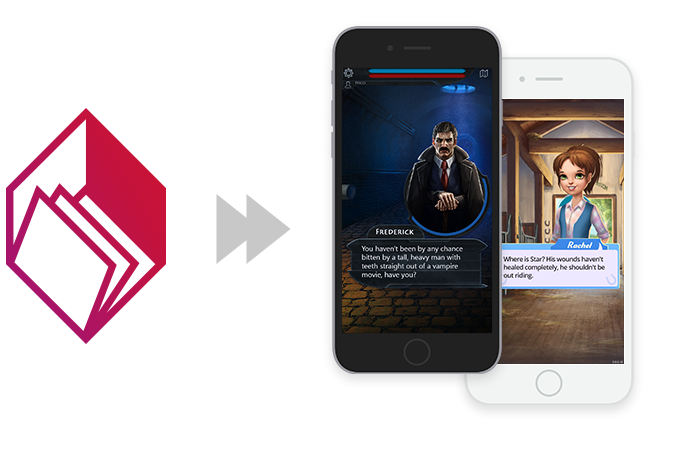 With gamebook.io we offer the expertise to deliver a lucrative storytelling experience to interested publishers and developers. We can handle everything, from content creation to app development and gameplay optimization. With offices in Berlin and Halle (Saale) we are always looking for talented people – artists, developers, project managers and many more. Together we will shape the future of digital storytelling. 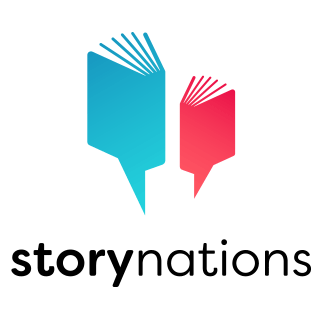 Being storytellers ourselves we initiated Story Nations – a community for everybody interested in storytelling. Story Nations is the opportunity to actively experience and talk about different techniques of storytelling and to exchange ideas.